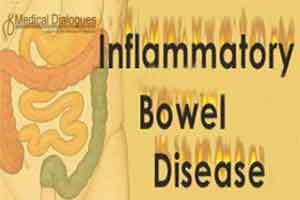 Las Vegas, NV: 1.6 million Americans suffer from inflammatory bowel disease (IBD) — which includes Crohn’s disease and ulcerative colitis. Currently, there is no cure for these chronic, life-long conditions. While there are several effective treatments available, 40 to 55 percent of patients have no response to current biologic therapies. There is a dire need for new drugs or drug combinations for all patients that are highly safe and effective. Based on the research being presented at the Crohn’s & Colitis Congress™, doctors are hopeful that future IBD patients will have new and effective treatment options. The following four studies being presented at the inaugural Crohn’s & Colitis Congress — a partnership of the Crohn’s & Colitis Foundation and the American Gastroenterological Association, in Las Vegas, NV, on Jan. 19 and 20 — represent the most noteworthy advances in IBD treatment options. By Scott D. Lee, University of Washington Medicine, et al. Significance: It is now known that the intestinal microbiome is integral to the pathogenesis of IBD. However, antibiotic treatments for IBD have previously shown limited effectiveness. In this eight-week clinical trial, there was a four-fold greater response to the antibiotic rifaximin in Crohn’s disease treatment, compared to placebo. The positive impact on clinical disease activity was seen even in patients with a significant disease burden and prior exposure to one or more biologic therapies. Quality of life and laboratory measurements were numerically improved. No new safety concerns were identified. These results offer renewed hope for the use of antibiotics in treating Crohn’s disease. Disclosures: lead author Scott D. Lee reports financial relationships with Pfizer Pharmaceuticals, Inc; Atlantic Pharmaceuticals, Ltd.; Gilead Sciences, Inc.; Tetherex Pharmaceuticals; Arena Pharmaceuticals; Shield Therapeutics PLC; UCB Pharma; Mesoblast; Cornerstones; Salix Pharmaceuticals; Takeda Pharmaceuticals, Inc.; Eli Lilly and Company; Celltrion Healthcare Co, Ltd; AbbVie Pharmaceuticals; Janssen Pharmaceuticals, Inc.; Celgene Pharmaceuticals, Inc.
By Bruce E. Sands, Icahn School of Medicine at Mount Sinai, et al. Significance: Tofacitinib, a Janus kinase (JAK) inhibitor, is under investigation for treatment of ulcerative colitis and Crohn’s disease. To date, response rates in ulcerative colitis have been higher than for Crohn’s disease. In this report, investigators performed post-hoc analysis studies using objective baseline criteria of disease activity. Their findings showed a greater proportion of patients with moderate to severe Crohn’s disease were in remission with tofacitinib compared to placebo. These results provide evidence of JAK inhibition for the treatment of Crohn’s disease and support further investigation. Disclosures: lead author Bruce E. Sands reports financial relationships with AbbVie; Allergan, Boehringer-Ingelheim, Celgene, Gilead, Janssen, Lilly, MedImmune, Pfizer, Shire, Takeda, Target PharmaSolutions, UCB, Theravance Biopharma, TiGenix, TopiVert Pharma, Vivelix Pharmaceuticals, EnGene, Lyndra and Oppilan Pharma. By Laura E. Bauman, Cincinnati Children’s Hospital Medical Center, et al. Significance: Long-term clinical remission from IBD with anti-TNF therapies has generally been limited to less than half of the treated patients. Improved outcomes are seen with optimal pre-infusion trough drug levels, a measurement of the level of drugs in the patient’s bloodstream. However, standard weight-based dosing for pediatric patients has provided widely varying trough drug levels. The investigators report the development of a multifactorial pharmacokinetic model for predicting infliximab trough levels during maintenance therapy for IBD. Such dynamic approaches to treatment address a specific gap in pediatric IBD therapeutic strategies. By Siddharth Singh, University of California San Diego Health, et al. Significance: Primary non-response to anti-TNF therapy is seen in 35 to 65 percent of IBD patients and another 40 to 60 percent lose responsiveness during the first year of treatment. Physicians struggle with what treatments to recommend for these patients. The investigators in this study performed a literature search and identified eight randomized controlled trials of biologics in patients with prior exposure to anti-TNF and compared outcomes based on their prior responses to anti-TNF. The analysis reveals a 24 percent decrease in likelihood to achieve remission in patients who changed medications because of immediate non-response compared to loss of responsiveness or intolerance during the treatment. These findings raise important questions about the biology of IBD, including the pharmacology of anti-TNF in a subset of patients. Disclosures: lead author Siddharth Singh reports financial relationships with AbbVie and Pfizer.